FOX Sports has revealed new programming for Golf fans with three new dedicated shows on the way. On Par with Paul Gow premieres tonight, with PGA Tour with Brett Ogle every Monday. A third show will premiere in October. A collection of Australian golf-loving celebrities will join Gow each week on the 30- minute show for a round of golf at some of Sydney’s best courses. NRL great Gorden Tallis, Rugby legend George Gregan, cricketing hero Allan Border, V8 Supercars drivers James Moffat and Scott McLaughlin, and Cold Chisel front man Jimmy Barnes are just some of the big names set to feature on the new show. Peter Sterling headlines the premiere episode, with the Rugby League legend opening up about his life and career, while receiving a few tips from Gow along the way. 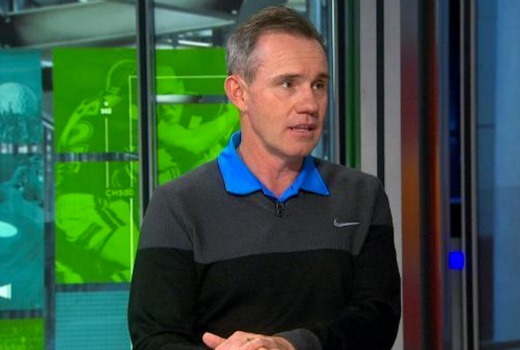 Brett Ogle returns to host PGA Tour with Brett Ogle on Monday nights after every USPGA Tour event, where he will look back on the final day of play and recap Aussie players’ success in competitions around the world. A third brand new golf show will premiere in October, with details to be announced in the coming months. The new entertainment programs complement FOX Sports’ extensive golf coverage, which includes all four majors, the Ryder Cup, plus the USPGA, European, Champions, Asian and USLPGA Tours.